Marvel Studios has become known for a lot of things over the last six years, but perhaps one of their most crowd-pleasing habits is the inclusion of special post-credits sequences at the end of their movies. Sometimes they’re used to tease future events in the Marvel Cinematic Universe, and sometimes their just for fun – but they’re pretty much all very entertaining. Their latest film, James Gunn’s Guardians of the Galaxy, is no different, and contains one of the best post-credits sequences yet. SPOILER WARNING: The rest of this article contains spoilers for Guardians of the Galaxy, both revealing what’s going on in the end credits sequence and explaining the events that led up to it. If you haven’t seen the film yet, please read on at your own risk. As the credits come to an end, we are once again transported back to Knowhere – specifically the interior of the Collector’s museum. The establishment is still a complete disaster zone after the explosion caused by Karina grabbing the Infinity stone, and the owner isn’t doing so well himself. Surrounded by broken equipment and boxes, the Collector sits on the ground with a bandage on his head and a dejected look on his face. As he takes a sip from a strange looking green glass, Cosmo – the dog in the astronaut costume from earlier in the film – comes wandering on over and begins to lick the Collector’s face. This doesn’t get any kind of response out of the ancient alien, but he turns his head as a voice comes from off camera, saying, "What do you let him lick you like that for?" The camera turns and reveals none other than Howard the Duck, sitting in the middle of one of the shattered cages. Like the Collector, he has a drink of his own, and, as he takes a sip, he mutters, "Gross.". As the screen goes black to credit Howard the Duck’s creators, we hear him say, "It burns going down." Those of you who were paying extremely close attention to Guardians of the Galaxy may already know that this isn’t actually the first time that Howard the Duck shows up in the movie. In the scene where Star-Lord, Gamora, Rocket and Groot enter the Collector’s museum and are introduced to the owner, you can see the alien talking bird sitting in the cage suspended directly above the Collector’s head. He briefly turns towards the camera and then looks away. It’s definitely "blink and miss it," so it’s nice that he got some extra time in the spotlight with the final scene. Marvel Studios has a long history of using post-credits sequences to tease their upcoming projects, and while this instance is probably more of a gag than anything, there is still a part of me that’s hoping that the idea of a new Howard The Duck movie isn’t entirely impossible. The problem is that the last time the character got his own solo film – back in 1986 – the result ended up being a complete disaster both critically and at the box office. Bad as the big screen history is, though, the original source material is fantastic satire, and this Guardians of the Galaxy appearance may be exactly the shot in the arm Howard needs to propel a positive future. Even if Marvel Studios doesn’t make a separate Howard The Duck movie, however, I’m at least holding out hope that he will get an expanded role in the officially announced Guardians of the Galaxy 2. 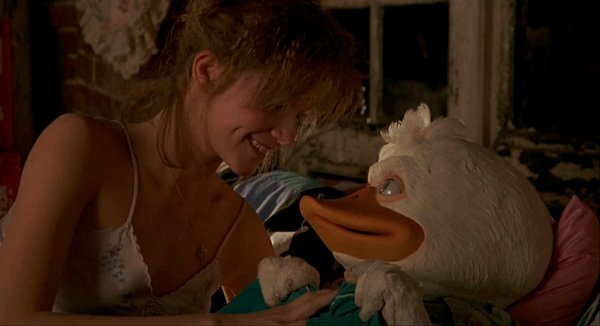 Of course, Howard the Duck is only the second animal-esque alien featured in the scene; after all, Cosmo deserves some attention. Like Howard, Cosmo can be seen during Guardians of the Galaxy as an exhibit in the Collector’s museum – though the character actually has a rich comic book history. 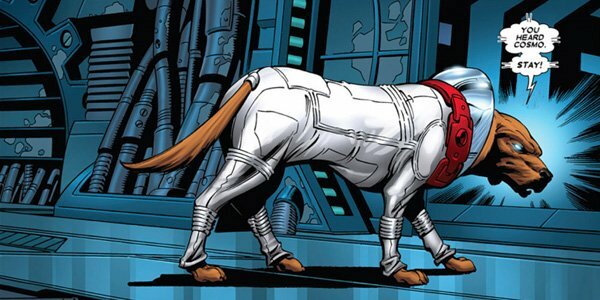 While it’s not explored at all in the movie, Cosmo the Spacedog is not only Russian and telepathic, but was also at one point a member of the Guardians team. He is best known in the comics as being the security chief of Knowhere, which could be another potential direction to go in for the sequel.